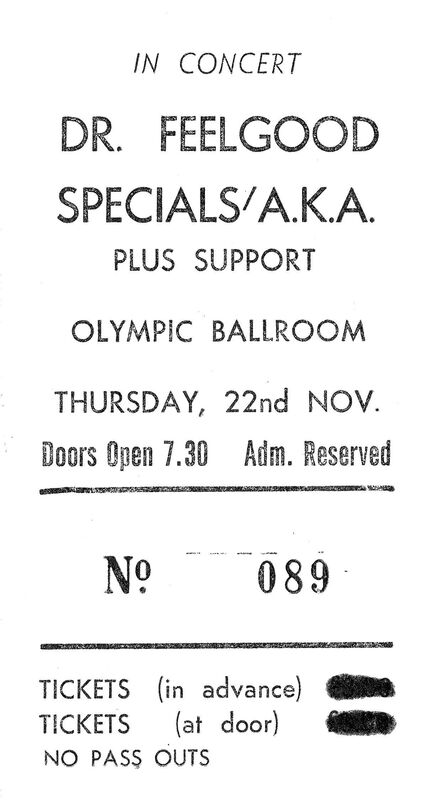 Dr. Feelgood & Specials’ AKA: Ticket Stub | Come Here To Me! Dr. Feelgood, The Specials AND The Blades. I suppose it must have been common for the local support acts to be left off the ticket stub and maybe even the poster too. My ma found this ticket sub while clearing out the box room. Anyone have any photos or memories of this gig?